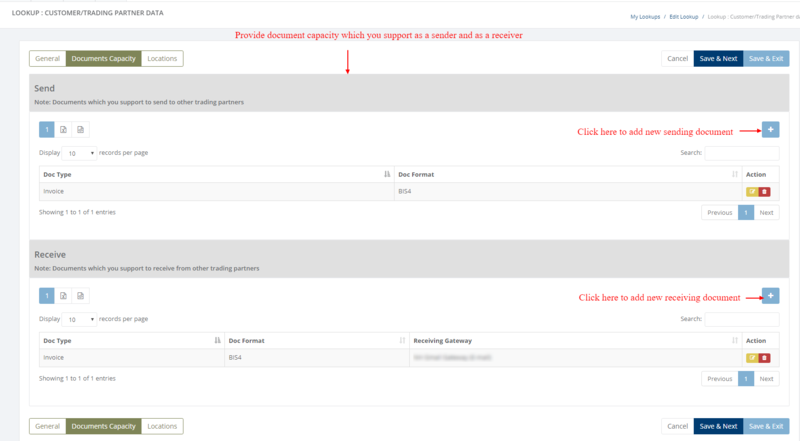 Here you can find steps to create new customers/trading partners lookup. Click on '+' and you can provide all the details related to customers / trading partners like general information, document capacity and company locations. 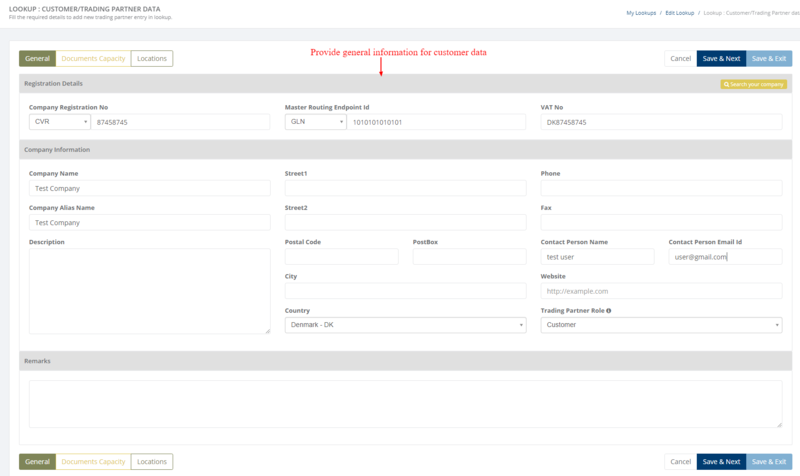 You can edit customer data according to your requirement and also delete customer.